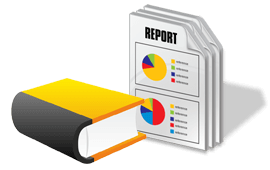 Thank You for Requesting Our Free Report. We are sure you will find it of interest. Watch your inbox for an email from us which will contain a link to immediately download it. We also have a special FREE EBook on “The 10 Commandments of Personal Finance” that we would like to send you. Quite frankly this EBook will only be of interest to the 5% of my readers who sincerely want to IMPLEMENT a highly effective money management system that will create and manage wealth. If that’s you please fill out the information below and we’ll rush the information out to you. Thank you.